Get your crawfish fix for a good cause on May 4th starting at 11am until the crawfish are gone. 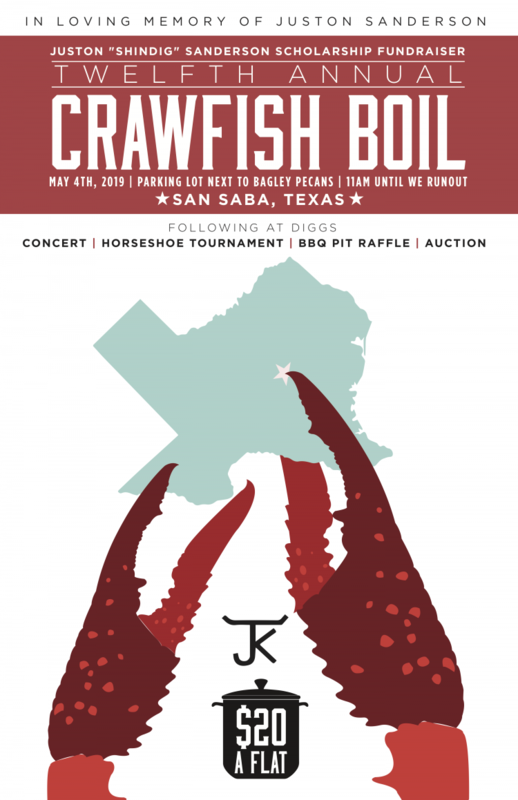 After the boil, head on over to Diggs for a concert, horseshoe tournament, raffle, and auction all to benefit the Juston “Shindig” Sanderson Scholarship. The cost is $20 per flat.